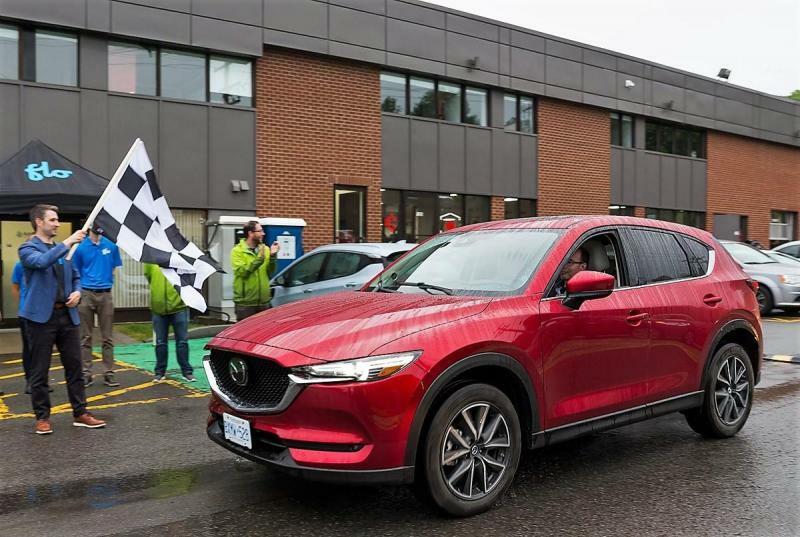 Photos by AJAC / Feature image: Paula Vieira, Director- Transportation and Alternative Fuels Division, Natural Resources Canada waves the green flag to start the sixth annual AJAC EcoRun. June’s EcoRun was a repeat for me, and with each edition, I’m warming to the idea of someday owning a plug-in ride. 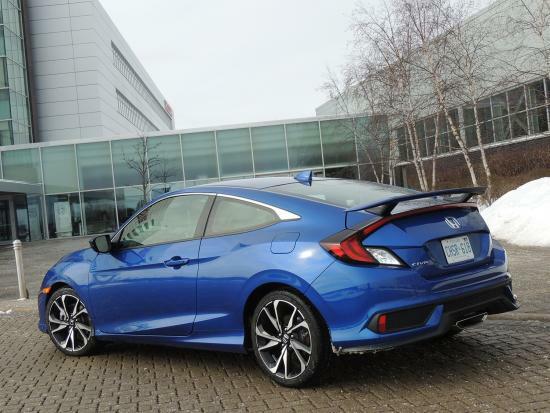 Not that this annual event – hosted by the Automobile Journalists Association of Canada – is all about EVs. It is a moving showcase of eco-friendly options that includes pure electrics, along with plug-in and conventional hybrids, hydrogen fuel cells, diesels and even high-efficiency gas powertrains. 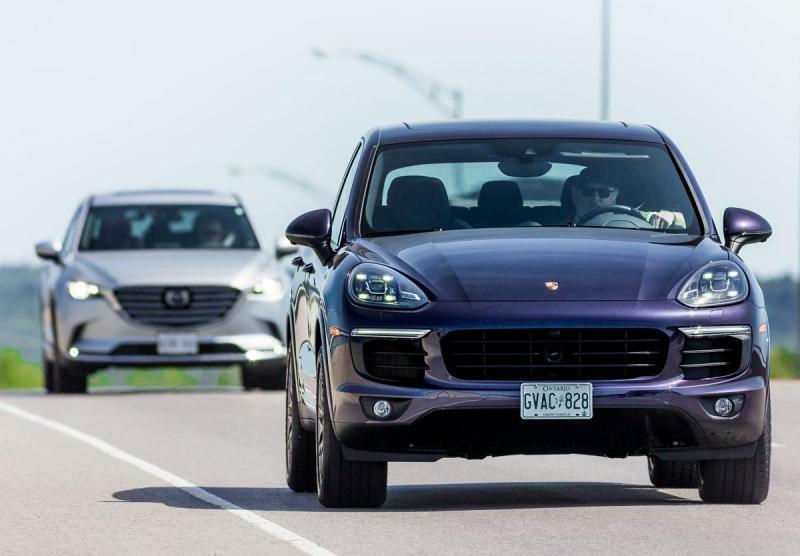 And size doesn’t matter, as this year’s participants drove everything from the compact Nissan Versa Note and Volkswagen e-Golf to the burly Porsche Cayenne E-Hybrid. The Porsche Cayenne may not look green, but our team of journalists averaged 8.0 litres/100 km in this 416 hp, plug-in hybrid. But EVs are playing a larger role in EcoRun, and are a growing segment of green motoring overall, with governments providing generous incentives to build charging infrastructure, not to mention rebates on the vehicles that feed upon it. Quebec is already at the forefront, leading Canada in electrification with its large and growing network of 2,000 Level 2 and 300 high-capacity Level 3 chargers, and a lofty target of 100,000 EVs and plug-in hybrids on the road by 2020. 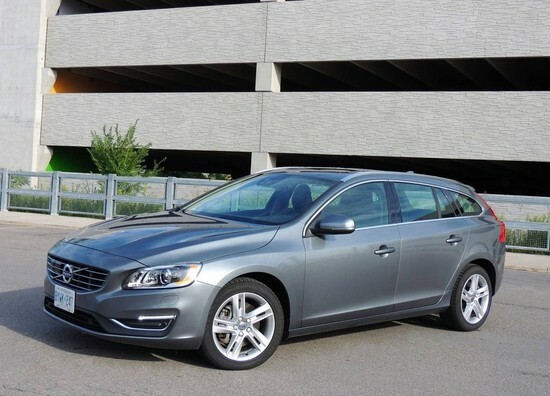 Driving this are purchase rebates of up to $8,000, and even more importantly, the aggressive pursuit of public-private partnerships to install more chargers on highways, at malls, in public spaces – and at work. Range anxiety is bad for business. We Ontarians get an even better deal with a maximum $14,000 off an electrified vehicle (depending on type), plus up to $500 on buying a home charger and up to $500 to install it. Like Quebec, Ontario is funding the expansion of its public plug-ins, although we have some catching up to do. The Volkswagen e-Golf is as nimble as a conventional gas-powered Golf, but far thriftier, boasting a gasoline equivalent of 2.0 litres/100 km. AJAC journalists did even better, averaging 1.7. Our group of journos dropped by the Montreal head office of Meo Electric, a supplier of EV chargers for home, business and public use. Their presentation cited an MIT study that supported an alarming fact: every year in North America, more people die from car pollution than from car accidents. Canada is catching on to electrification, but the US and China are well ahead, although nowhere near countries like Norway. Leaving FLO headquarters during the final leg of the EcoRun in Quebec City. The Mazda CX-5 I’m driving managed a decent 7.8 litres/100 km under my steady hand – and foot. I’m not suggesting we completely ditch fossil fuels – far from it. I doubt our grid could handle a full-scale migration from gas to electricity. As a nation, we lack the public infrastructure to support this, with only 616 of Canada’s 3,916 public charging stations being outside Ontario and Quebec. There are even more range-extended vehicles like Chevy Volt, and a cornucopia of plug-ins spanning Pacifica to Porsche. These won’t go as far on battery alone, with the best of these (Volt) getting 85 gas-free clicks. But you can take long-haul trips without worrying about where to recharge. The EcoRun, however, entailed eight meandering legs over two days, from Ottawa to Quebec City – and the pure electrics were expected to keep up. No driver would be left behind. 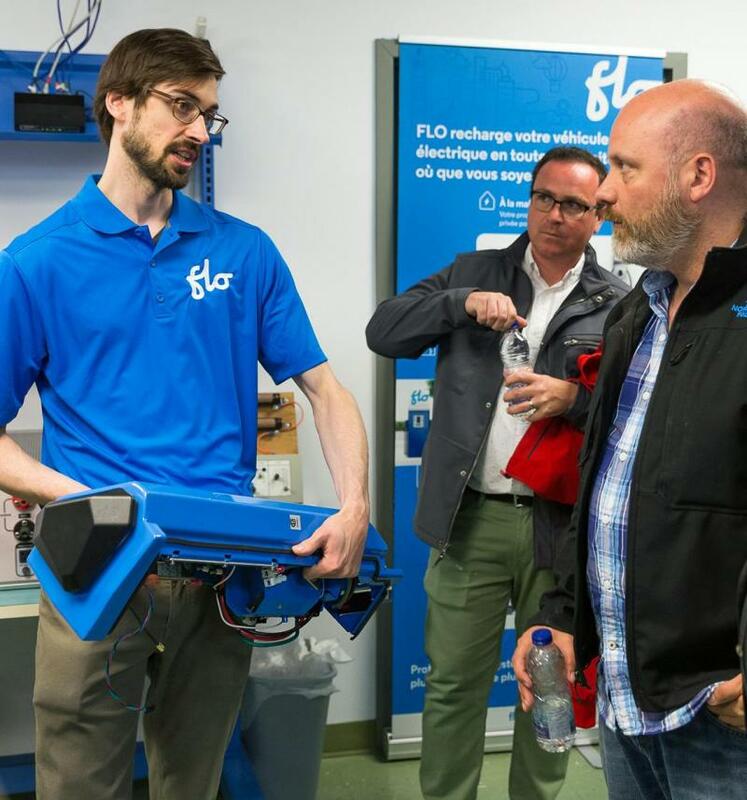 Simon Granger, Head of Content and Communications at FLO shows a Level 2 charger to AJAC journalists at AddEnergie headquarters. Okay, for those who recall last year’s story, I did come up short on the final push, missing the closing ceremonies at Ottawa City Hall. I spent two hours at the Kemptville bowling alley waiting for my EV to charge while colleagues listened to local dignitaries. Nonetheless, I could have used a smart phone app like ChargeHub (probably the most complete) or FLO, which provides not only charger locations, but real-time data on status (in use, out of service) and allows you to even pay for the service. Pricing varies from roughly a buck an hour for a Level 2 charger to $20 per hour for a Level 3. The latter may sound pricey, but keep in mind that you’ll likely need just 20 minutes to top up. And for many, it’s the quick charging that makes most sense. Unfortunately, these units are scarce, with only 656 in Canada – mostly in Ontario and Quebec. Although governments are helping grow this number through public-private partnerships, the price is steep: approximately 40-grand. This compares with only $4,500 for a Level 2 public charger, and anywhere from about $800 to $1,300 for a home unit. These cheaper options take about four hours for a full charge, which is brisk compared to nearly a full day for a standard 110-volt outlet. Fortunately this year’s two-day green motoring convoy was equipped with apps and no shortage of convenient stops to keep each vehicle charged. 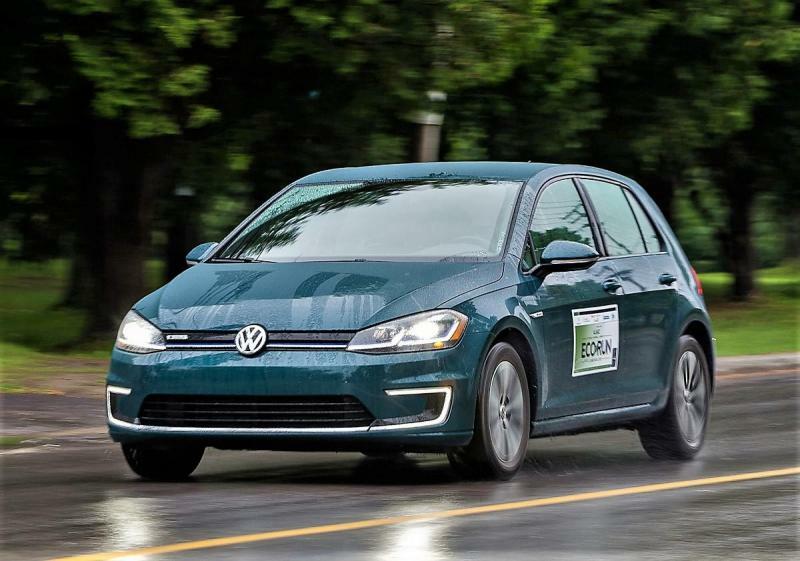 My e-Golf and Ford Focus EV both delivered in terms of range, and averaged 1.7 and 2.0 litres/100km (gas equivalent) for the AJAC team, besting the NRCan estimates. I drove two other plug-ins, in addition to a conventional hybrid. The Ford C-Max Energi averaged 5.1 litres/100 km, matching NRCan, and the larger, heavier Cayenne Hybrid still managed a respectable 8.0 litres/100 km. My own score with the Porsche wasn’t quite so thrifty, but I did enjoy driving this 416-hp sport utility. Its ability to launch from rest to 100 km/h in under six seconds isn’t conducive to EcoRun best practices. At the opposite end of price and power, I tested the Nissan Versa Note. It couldn’t match most electrified rides, but at roughly half the cost, and getting a still frugal 5.8 litres/100 km, it’s worth a closer look. Incidentally, this figure is below the NRCan fuel consumption average of 6.4 across all EcoRun vehicles, which as a group, we trounced with a final score of 5.4 litres/100 km. Not bad, considering that most of us have a love for tire smoke, and appreciate the angry snarl of a good exhaust system coupled to a hard-working internal combustion engine. We didn’t apply any crazy ‘hypermiling’ techniques during the EcoRun, just the basics like maintaining a reasonable distance to reduce hard braking, accelerating smoothly, and staying roughly at the speed limit. Sure, you can save even more by driving 10 or more clicks below it, but we all know what it’s like languishing behind these turkeys. Bottom line: if we miscreants can sip fuel even better than lab-coated government technicians, there’s hope for the rest of us. 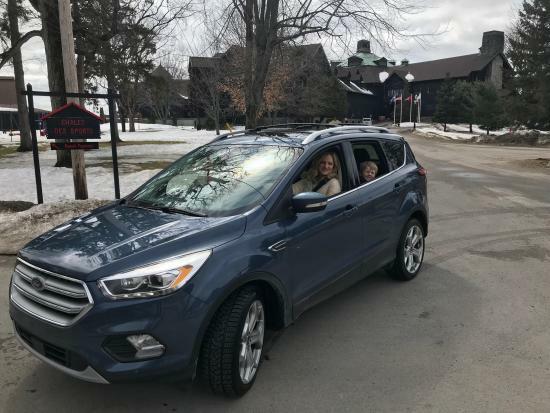 "The Ford Escape is one cool car." Gone is the wallflower styling, replaced with a look that is equally fetching whether you’re sporting two, four, or five doors.